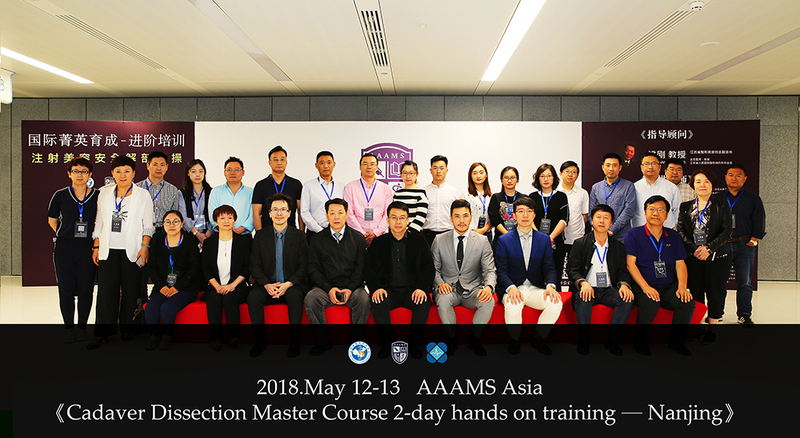 We are excited to announce that on May 12 – 13, 2018, The American Association of Aesthetic Medicine and Surgery (AAAMS) Asia division successfully launched and conducted the brand new “Cadaver Dissection Master 2-Day Hands-On Training” course covering complication management for dermal filler injection danger zone in Nanjing, China. 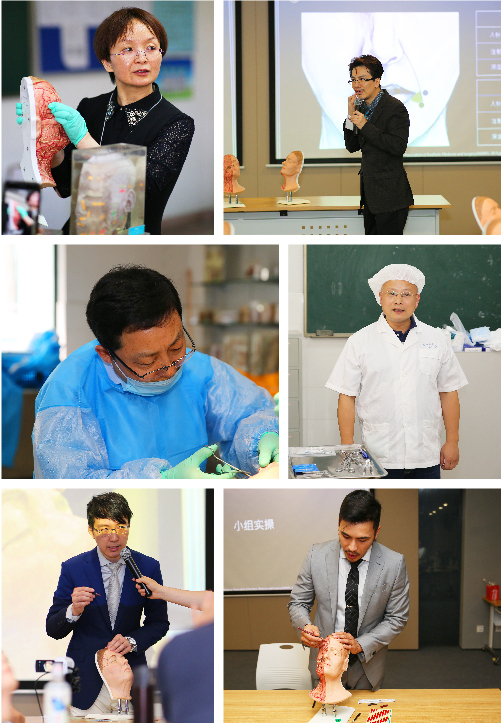 This workshop was co-organized by Jiangsu Association of Plastics and Aesthetics, Jiangsu Province Hospital (the largest Provincial hospital in Jiangsu) and Department of Anatomy, Nanjing Medical University (amongst the top 5 medical schools in China). 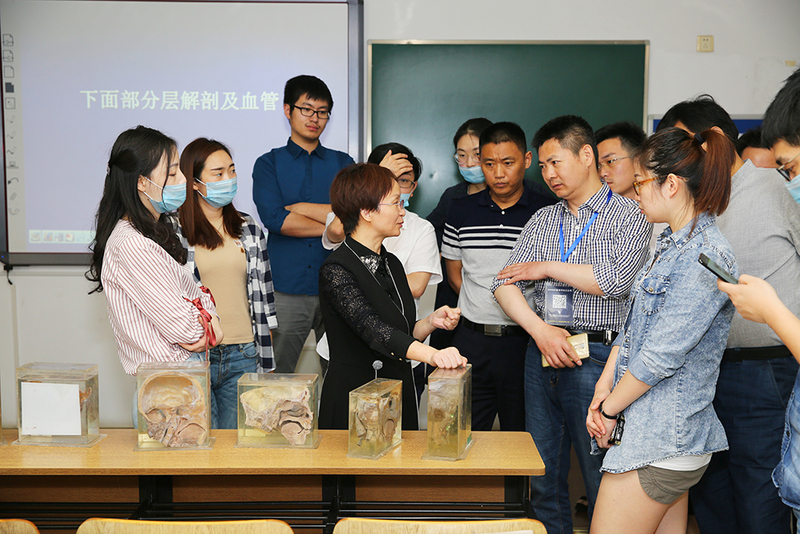 The cadaver dissection format was groups of 5 delegates accompanied by two instructor physicians on a cadaver for each group. 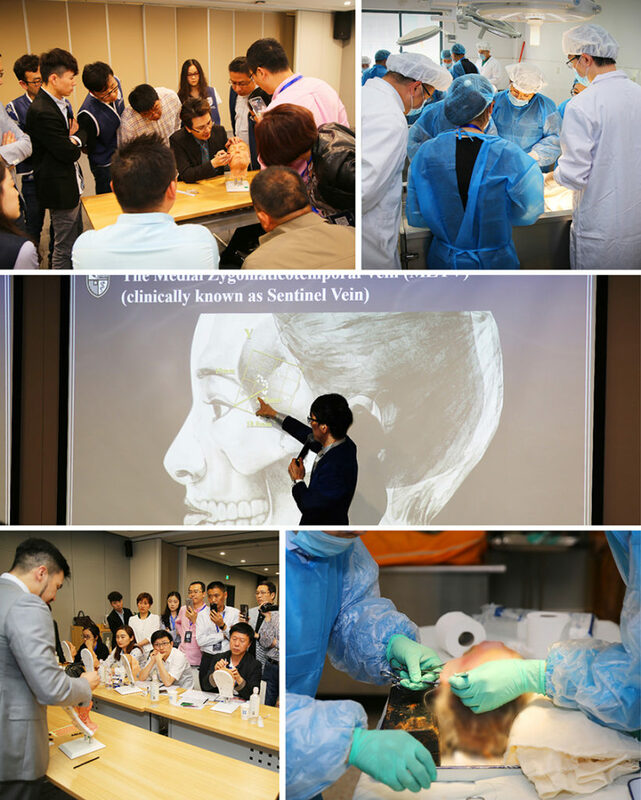 During the hands-on sessions, each physician injected pre-colored hyaluronic acid (HA) into the cadaver and dissected the facial layers to identify the depth of their injection as well identifying the anatomy around it. 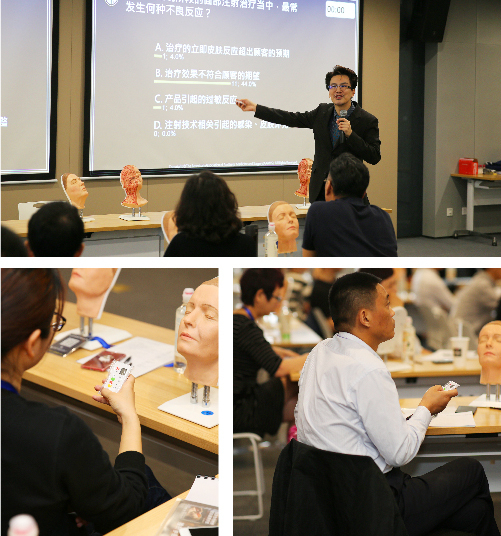 The training is designed enhance the physician attendee’s experience and provide a more thorough understanding between the relationship of clinical treatment and facial anatomy. The workshop went exceptionally well and a majority of all delegates were intensely engaged and highly interactive during the training. 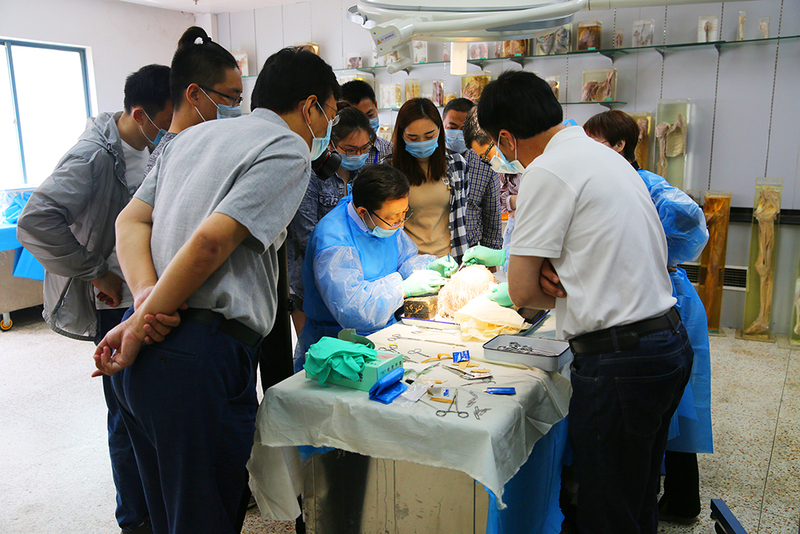 This groundbreaking cadaver-training course was a great achievement for AAAMS in China. 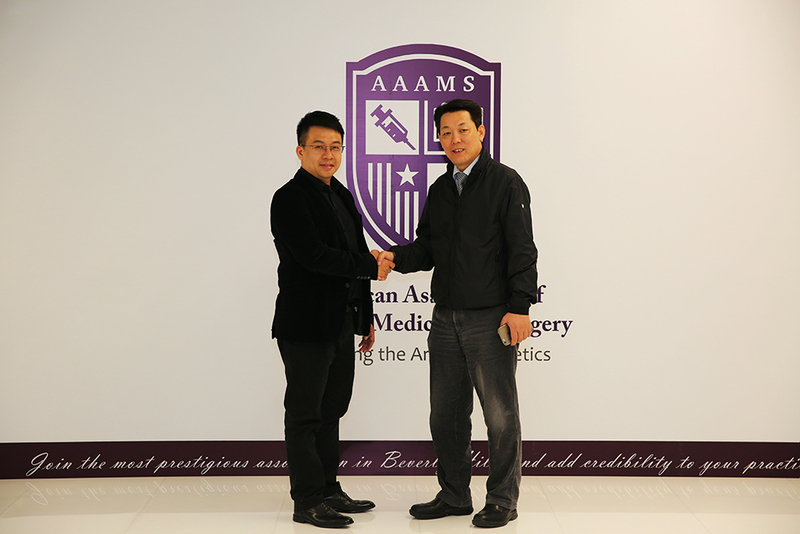 The entire AAAMS organization is looking forward to having another milestone soon. Below are the photos from the courses.